It’s the new year. Many people are integrating new habits into their lives to help them reach their health and wellness goals. The rise in popularity of intermittent fasting as part of an overall wellness plan has people researching, Googling and seeking out information on fasting more than ever before. As a healthcare provider, you probably field patient questions about fasting on the regular. A recent study gives even more support to the ancient art of fasting as a means of achieving improved health. In a University of California, Irvine-led study, researchers found evidence that fasting affects circadian clocks in the liver and skeletal muscles, causing them to rewire their metabolism, which can ultimately lead to improved health and protection against aging-associated diseases. The research for this study was conducted using mice, which were subjected to 24-hour periods of fasting. While fasting, researchers noticed a reduction in oxygen consumption (VO2), respiratory exchange ratio (RER), and energy expenditure in the mice, all of which were completely abolished by refeeding. These results parallel results observed in humans. 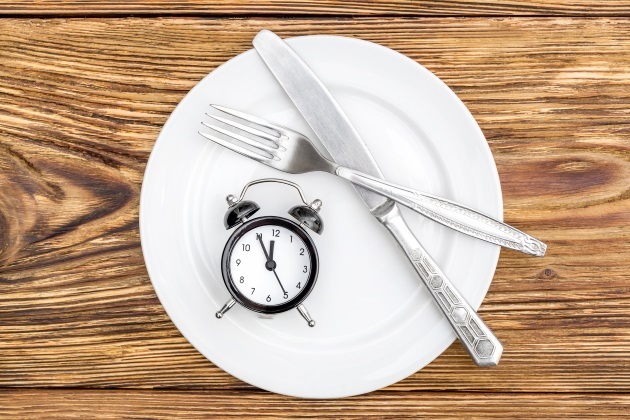 "The reorganization of gene regulation by fasting could prime the genome to a more permissive state to anticipate upcoming food intake and thereby drive a new rhythmic cycle of gene expression," said Dr. Sassone-Corsi. In other words, fasting essentially reprograms a variety of cellular responses. So optimal fasting in a timed manner can ultimately benefit health and protect against aging-associated diseases.